For April I have little bundle of samples perfect for anyone looking to try a few items and dip their toes into Asian beauty. Or maybe you're already head-over-heals and just looking to try something new! Giveaway ends April 30th at 11:59pm cst. I'm from Cleveland, OH!, My weather is not my favorite, 53 degrees but still cold. I want to try the Su:m37 bubble mask and the hair stuff. I am most excited about being able to go on stroller walks in the spring with my 2 year old! I've been dying to try the Sulwhasoo mask and Cosrx Snail cream! So much snail goodness! I am from Charleston, SC and the weather here is extremely nice and cool. I am loving it! 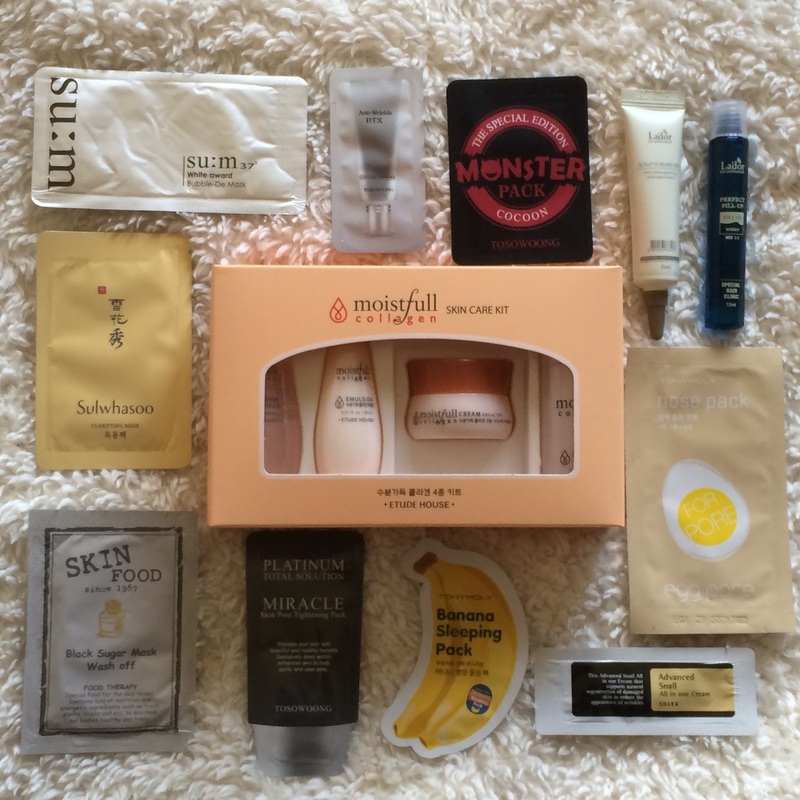 I want to win this giveaway so I can try that Etude House Moistfull Collagen Skin Care Kit. I am most excited about enlarging my garden this spring. I'm from SC. I really need skincare products for the Spring. Thanks for an awesome giveaway. I love to try samples of different products! Thanks! I love spring because of plants! The weather here in SC is hot and humid! Would love to win that Etude house skin care kit! This is a great group of samples! It is so humid here in SC today that I need some new skincare ideas. It's still hot here in SC. Hope you are having great weather! I am most excited about playing with my dog and cats this spring. I'm excited to see my grandson's play base ball. Rainy lazy day here in SC. Good for napping!